Experience and Qualifications: Over my career, I have been in the financial services and health insurance industries, focused on portfolio management that has culminated in oversight of projects and programs totaling $130M in annual spend. As a result of the financial and management acumen that I have installed and adhered to, the majority of those items that I am responsible for have remained on schedule and budget. Education: I have a Masters degree in Business Administration, with a focus on IT Management. This has allowed me to increase and improve my own performance as well as have a more strategic view, including being able to provide better tactical direction because, frankly, it is the details that can make a good decision even better. Family: My wife, Darci, and I have one daughter (Gabby) and have lived in Suffield since 2004 and believe that the decision to relocate here was among the best decisions that we could have made as the community, the schools and the location have allowed us to provide the optimal mix of a suburban upbringing to our daughter. 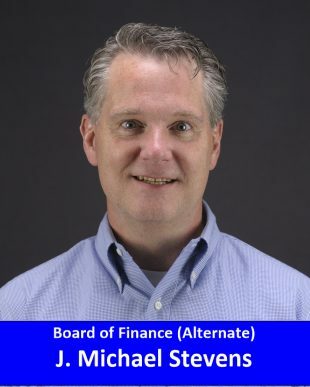 Community Involvement: I serve as the Chair of both the Advisory Commission of Capital Expenditures (ACCE) and Chair of the Technology Committee as well and that has allowed me to give back to the town for many years. Of particular note, as the Chair of ACCE, I implemented the strategy that plans for capital projects to be forecast up to 20 years, allowing our financial plans to have more of a steady cost model, as well as keep at the top of the list those items that have the most importance to the town. We are fortunate that Suffield is among the towns that have the strongest financial profile in the state. We have the discipline to keep our budgets in a strong position as well as the proactive views to make sure that we are not being penny wise, but pound foolish. As a member of the BOF, I want to continue to keep us looking ahead to meet the current and future needs of the town residents. Continue to focus on the longer-term goals of the town, providing guidance to those shorter-term efforts so that we are continually moving in the direction that the town wants. Continue to advocate for the town. There are many residents that are not aware of the day to day great work that is being done by our town leaders and I want to continue to both support them and the town.